“Two Bar” is the fitting nickname for Namlog’s Hino 500-Series 1324 freight carrier that has covered more than 2.3-million kilometres since it was purchased new in 2009. It certainly carries its age well and does not look like a truck that has covered a distance equal to going around the earth almost 60 times! Amazingly the Hino has covered this distance without any major mechanical problems. The bottom end of the engine is original, as is the gearbox and rear axle. The engine had the cylinder head reconditioned and some wear items such as the clutch plate have been replaced, as has the starter and alternator. Importantly, this Hino truck still looks favourable in the Namlog financial books and there is no plan to replace it at this stage. Average fuel consumption is about 22.5l/100km which is acceptable for this type of operation where the average load is about five tons. In fact, budget has been provided for a respray of the cab during 2017. This particular Hino started its working life running loads on the Durban-Johannesburg route for about five years and was then switched to operating in the Gauteng area, where it is still used. Servicing took place every 30 000km when it was on the long-distance route and the interval has been cut to every 20 000km for the shorter runs. 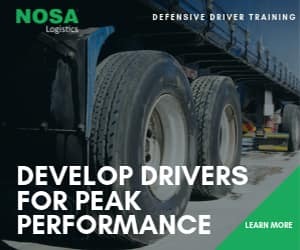 There are no designated drivers for the Namlog trucks, but the company is very strict on driving standards and insists on regular training. Namlog is one of the major contractors involved with moving Toyota, Lexus, and Hino parts from the distribution centre in Ekurhuleni to the network of dealers in South Africa, Namibia, and Botswana. 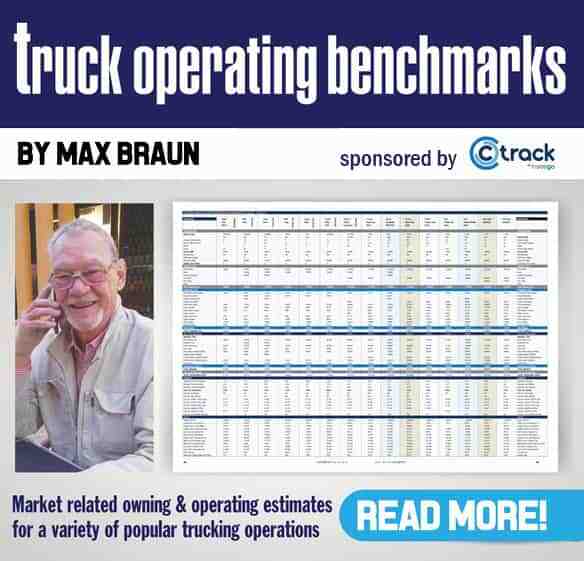 “These operations all function on the Just-In-Time principle with limited time windows for collection and delivery so we need reliable trucks above all else,” says Albie Greyvenstein, Namlog’s National Fleet Manager. The Namlog fleet manager is very particular about tyre care and each truck has its wheel alignment checked every 15 000km and corrected if necessary. This strategy pays off and one of the Hino 1626 freighters had its first tyre change after travelling 350 000km operating in Gauteng. Namlog has more than 60 Hino trucks in its fleet and recently added a further seven, four being a 714 automatic and two 1326 freighters all fitted with tautliner bodies as well as a 1018 with a drop side body. The company is in the process of replacing some of the delivery vans in the fleet with Hino 300-Series trucks with automatic transmission. Usually Namlog considers replacing its trucks when they have covered between 700 000 and 800 000km as they start costing money in terms of repairs, so the Two Bar Hino is very much an exception to the rule and is now on its way to covering three million kilometres. Namlog (the name is derived from Namibia Logistics) was founded in 2002 and has grown into a leading supply chain group, made up of four companies with operations in South Africa, Namibia, and Botswana. The company has its head office in Johannesburg. The other companies in the group are Mellets Transport in Kuruman, SLI in Windhoek and Gentex in Gaborone.